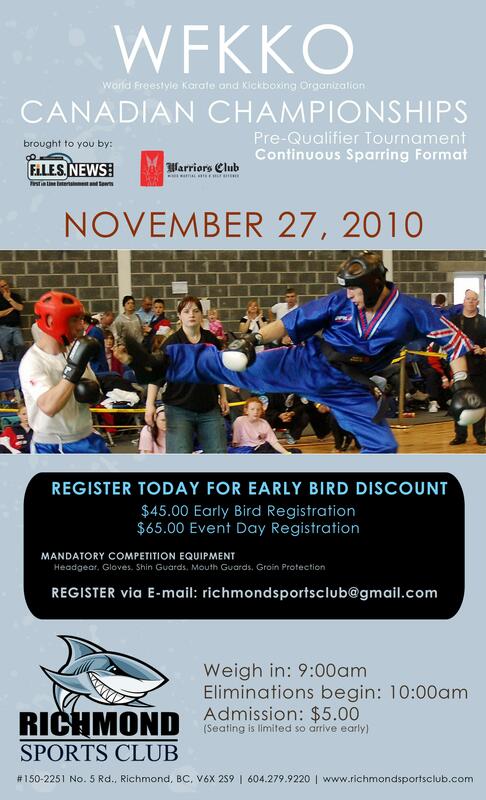 World Freestyle Karate & Kickboxing Organization is sanctioning its very first event in Canada on November 27, 2010 at Richmond Sports Club in Richmond, BC. Sensei Alireza Fadaie, the Canadian director of UK based WFKKO has invited all the Kickboxing schools in British Columbia to attend this event. This is the pre qualifier for the western Canadian championship which will be held next year. The winners of that tournament will earn the right to join team Canada for World Martial Games which will be held at Wales on August 2011.